He was very honest. He said that if nothing seems wrong, I wouldn't need another general eye exam for another fewyears. I love it when doctors aren't pushy and aren't just out for your money. The only thing is that they don't do exams for contacts. He was very honest. He said that if nothing seems wrong, I wouldn't need another general eye exam for another few years. I love it when doctors aren't pushy and aren'tjust out for your money. The only thing is that they don't do exams for contacts. My visit was great. Dr. Chen caught a significant problem that had not been discovered in previous eye checks, and gaveme good advice on the next steps. My visit was great. Dr. Chen caught a significant problem that had not been discovered in previous eye checks, and gave me good advice on the next steps. Dr. Chen decided to go to medical school after volunteering as an operating room translator for Operation Smile on one of their missions to China. Prior to that, his interests were primarily in becoming a gene therapist; researching retinal pericyte genes at Tufts, and studying cancer genes in mice while transfecting genes into cells at Cornell. Eye surgery came naturally after spending so many evenings in a Boston lab harvesting retinal pericytes from cow eyes. The opportunity to perform reconstructive eyelid surgery brings him that same satisfaction he dreamed about on that one-week facial plastic surgery mission with Operation Smile. Although born in the United States to Shanghainese speaking parents, Dr. Chen was brought up multicultural, living in Hong Kong and Singapore before returning to New England for boarding school. His research and medical training then brought him slowly across the country starting in Boston, then New York City, Chicago, New Orleans, Columbus and finally Cleveland. He and his wife then relocated in 2006 to Seattle where his wife treats breast cancer at the University of Washington. With the birth of their second son, they made the decision to permanently settle down in the Puget Sound, and Washington Eye Care was formed. In the past, Dr Chen spent much of his free time traveling, skiing, inline skating, figure drawing, and dragon boating. Lately, he has been enjoying that time with his family. Very considerate and thorough, but quick! Tech was so kind and patient as well! I appreciated Dr. Chen's attention to detail and genuine concern for my health. Dr. Chen was absolutely amazing. I was very nervous about the changes I'm experiencing in my vision. Dr. Chen put me at ease right away, he was kind and really seemed to care about my concerns and in helping me getbetter. He is very knowledgable and professional but seemed like a very down to earth kind of person. I am under a lot of financial stress right now and he personally made sure my insurance company would authorize future treatments. I loved his staff too! Very professional and calm. I had an eye emergency that eventually would need surgery. When you walk into a medical office because you're suddenly blind in one eye, you need a calm presence to keep you from panicking. Dr. Chen wasthe right choice for me. Highly recommend. His staff is excellent and courteous as well. My visit was handled very nicely. Very professional atmosphere. Dr Chen listened carefully to my complaint and explained what he needed to test in order to help me. He then explained each step of the exam and also gave me printedexplanation. I was very comfortable with the level of care that I received. Dr. Chen and his staff are always professional, informative, and friendly. His office is a half hour away (in good traffic), so I wouldn't go there if I weren't totally happy with my experiences. He listens to all your questions and will provide all the details. Even though I was a brand new patient I was able to get in the same day (a Monday) and was able to fill out all of the forms online ahead of time. Easy to find office with free parking rightby Factoria shopping center (so you can send your spouse there). The support staff was friendly and efficient and they had educational videos in the waiting room. The eye tech was very skilled, through and and friendly and put me at ease. Dr Chen is highly qualified and personable and informed of the reason for each test and the results and gave me a good plan for next steps and what to watch out for. Would have loved my own copy of my eye but forgot to ask. I was satisfied with the detailed checkup and examination of my eyes by the doctor and his associate. One of the most thorough optometry appointments I have ever had. It is nice to see that in the world of insurance companies running our medical system there is still one doctor who takes the time to do a great job. It was great. The staff were pleasant and professional. Had one moment of angst when the technician said, "I would normally dialate your eyes right now but I am going to wait to let the doctor do that." When I askedwhy, she said, "I have a little concern that I will leave for him to explain." Just saying, don't bring it up if you aren't going to explain. Gave me 10 minutes of stress I didn't need. I explained it to the doctor and he thanked me for the feedback. Overall a very positive experience. Dr Chen was extremely knowledgeable, thorough, and very patient. He answered all my questions and gave me an honest opinion regarding LASIK and PRK. I highly recommend his services. Pleasant, efficient, accurate -- everything I want in a doctor! Dr.Chen was very informative, I would definitely recommend my friends and family to visit Dr. Chen. Dr. Chen is not only brilliant but also treat patients as families. He relased my mother in-law's fear by answering all questions she had before the catract surgery, he also took good care of her need after the surgery. 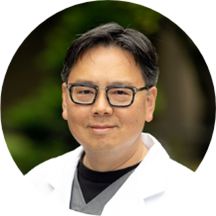 We reallyappreciate Dr. Chen's thoughtful care and would highly recommend him! Excellent doctor. Called my cell phone to let me know he had to deal with an emergency and was running late. Dr. Chen is so patient and takes the time to explain everything. I would totally recommend him to others. Nice, friendly. I'll go again.